Marianne Ajemian chairs Nutter's Real Estate Department and was a member of Nutter's Management Committee for nine years. Her practice is focused on the representation of clients locally and nationally in complex transactional matters. She represents financing institutions, real estate investment funds, developers, real estate investors and advisors, pension fund advisors and their institutional investors, REITs, healthcare and senior housing companies, and nonprofit institutions. Marianne has significant expertise in sophisticated investment and financing transactions of all types, including joint venture, preferred equity and partnership transactions, construction, permanent, revolving credit, mezzanine loans, letter of credit facilities, sale/leaseback transactions, intercreditor arrangements, loan acquisition and dispositions, and workouts and debt restructurings. In addition, she advises clients on all aspects of commercial real estate acquisitions, development, dispositions, and leasing involving a broad range of projects, including mixed-use and transit-oriented developments, downtown and suburban office buildings, research and development properties, retail and industrial properties, multi-family housing projects, hotels, restaurants, and institutional uses. Marianne has particular experience in representing owners, operators, investors, management companies, and lenders in the healthcare and senior housing industries. She also has extensive experience in the negotiation, supervision and management of complex portfolio transactions, and has served as the lead transactional counsel for various publicly held entities. Active nationally and locally in the real estate industry, Marianne is a fellow in the American College of Real Estate Lawyers (ACREL), a past president of the Commercial Real Estate Women Network (CREW Network), a past president of CREW Boston, and a member of the Real Estate Finance Association (REFA). 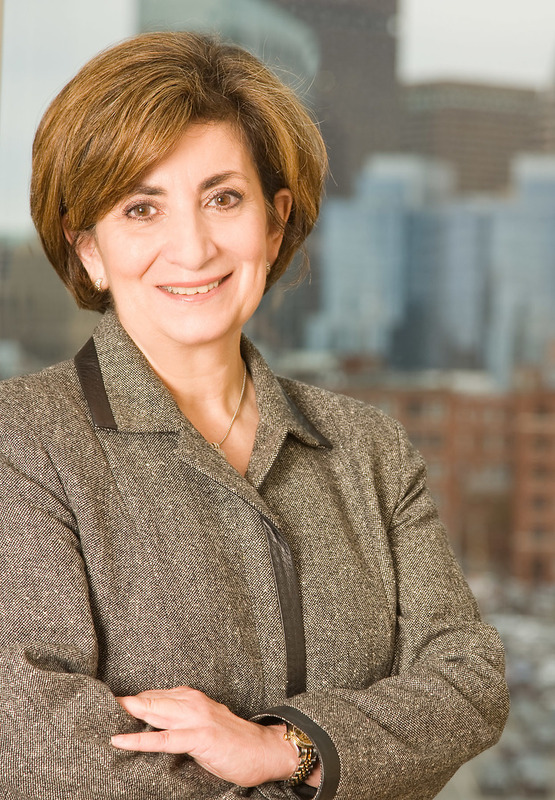 In 2006, the Greater Boston Chamber of Commerce honored Marianne with a Pinnacle Award for Achievement in the Professions, and in 2007, she received CREW Boston's Leadership Award. She is also a member of the Massachusetts and Boston Bar Associations. Marianne is a frequent speaker on a variety of real estate and finance topics and is a guest lecturer at the Massachusetts Institute of Technology Center for Real Estate. In Boston, Marianne is a member of the Board of Directors of the Greater Boston Chamber of Commerce, and the Board of Directors of Homestart, Inc., a not-for-profit corporation that provides a comprehensive system of housing search, support and stabilization services to the homeless and indigent in the Greater Boston area. In 2013, HomeStart presented Marianne with the Trent Hankins Memorial Award. Marianne is a member of the Board of Directors of Homestart, Inc., a not-for-profit corporation that provides a comprehensive system of housing search, support and stabilization services to the homeless and indigent in the Greater Boston area. In 2013, HomeStart presented Marianne with the Trent Hankins Memorial Award.